Kanban is an approach to process change for organizations, which uses visualization with a Kanban board. It allows a better understanding of work and workflow. 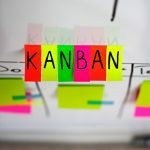 Kanban practice limits work in progress, which reduces waste from multitasking and context switching, exposes operational problems and encourages collaboration to improve the system. It is rooted in two sets of principles, for change management and service delivery, which emphasize evolutionary change and customer focus. Kanban practice does not prescribe a specific set of steps, but starts from existing context and encourages continuous and incremental changes to the system. It minimizes resistance to change to facilitate it. The Kanban process focuses on the customer and work, which meets their needs, rather than an individual’s activities. Kanban boards are perceived as a variation on traditional Kanban cards. Instead of the signal cards that represent demand or capacity, the board utilizes magnets, plastic chips, colored washers or sticky notes to represent work items. Each of these objects represents an item in a production process as it moves around the board. Its movement corresponds with a knowledge work or manufacturing process. 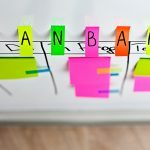 The most basic board can be divided into three sections: “waiting,” “work in progress,” and “completed work.” Complex Kanban boards can be created that visualize the flow of work across a value stream map. 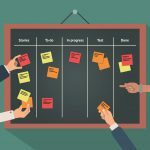 For individuals and organizations using Kanban boards, a new app is making waves across the business community. 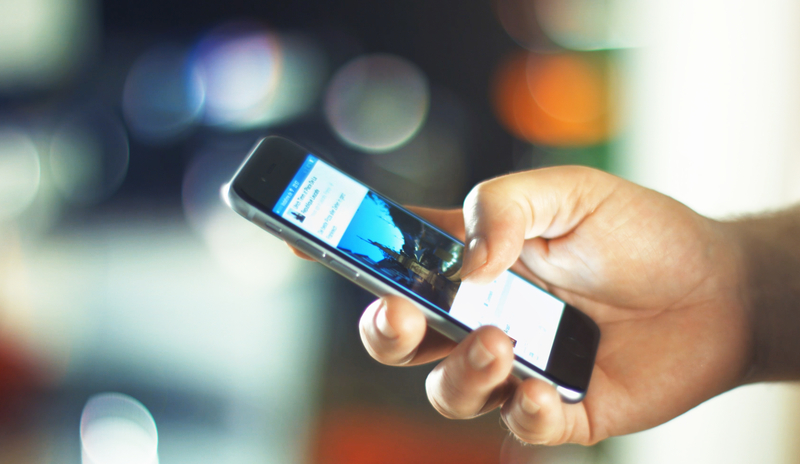 Trello is an app that has exceeded 25 million users and is considered a viral runaway success. 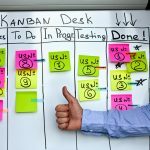 It uses the Kanban principles for managing projects, originally popularized by Toyota in the 1980s for supply chain management. Projects are represented by boards, which contain lists (corresponding to task lists). Lists contain cards (corresponding to tasks). Cards are supposed to progress from one list to the next (via drag-and-drop), for instance mirroring the flow of a feature from idea to implementation. Users can be assigned to cards. Users and boards can be grouped into organizations. It supports iPhone, Android and Windows 8 mobile platforms, along with Mac and PC desktop platforms. It is also supported on various tablet and iPad platforms. Another key feature is integration. These API integrations allow users to access features such as Google Drive, Slack and Salesforce directly from Trello.